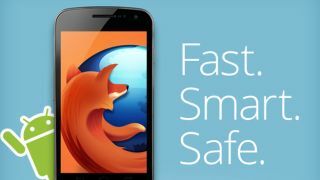 Starting Monday, the Firefox browser will be compatible with quite a few more Android smartphones. With this most recent update, Mozilla has included support for ARMv6 processors, which the developer claims are found in more than half of the existing 500 million Android phones on the market. Previously, Firefox for Android was only compatible with devices running Android 2.2, and utilizing an ARMv7 processor. Consumers with phones like the HTC ChaCha and Samsung Galaxy Ace can now look forward to using the latest iteration of the third-party web browser. While adding support for Firefox to some 250 million more smartphones will help Mozilla grow its brand, that's not the only high point of the latest update. Mozilla will also introduce TalkBack integration, which will allow Android users with visual impairments to browse the web with the screen reading technology with no extra configurations necessary. New Android accessibility features like Explore by Touch and Gesture Navigation are also instantly compatible with Firefox thanks to this new update. All of these upgrades work in concert to make browsing easier for the visually impaired by incorporating speech output, sounds and vibrations. The latest version of Firefox for Android is available on the Google Play store.